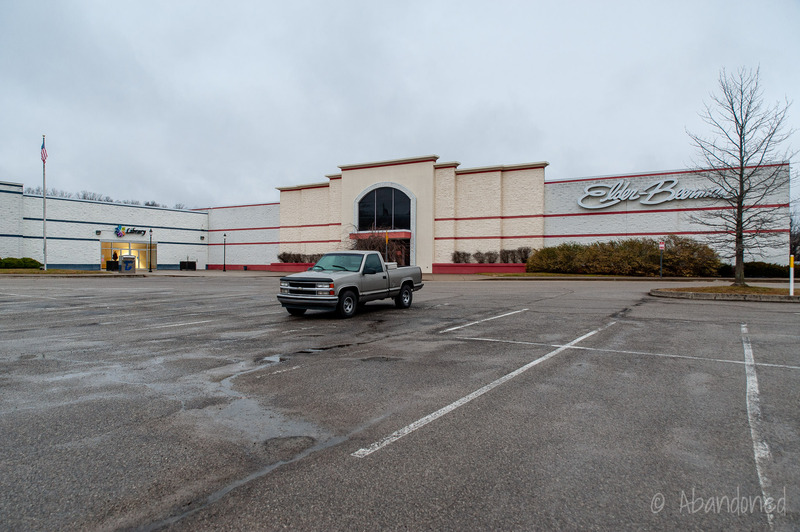 The Zamia Corporation opened Cedar Knoll Galleria on November 8, 1989, 12 9 shortly after the nearby Ashland Town Center held its own ribbon cutting on October 19. 12 Cedar Knoll was anchored by Sears, Stone & Thomas, Phar-Mor, and K-Mart with room for two anchors. Other tenants included Rex TV and Appliances, Jone’s New York, and Pollock’s Jewelry. 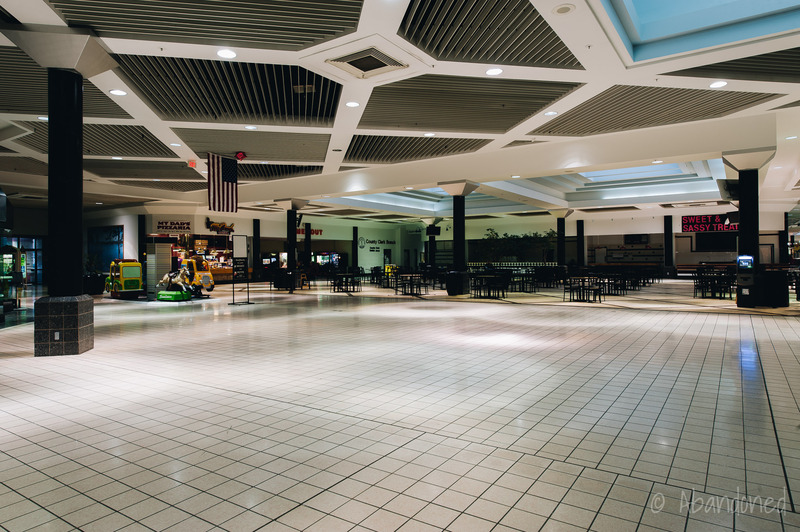 The food court featured The White Mountain ice cream parlor, Luca’s Pizza, and Pretzel’s-Plus. 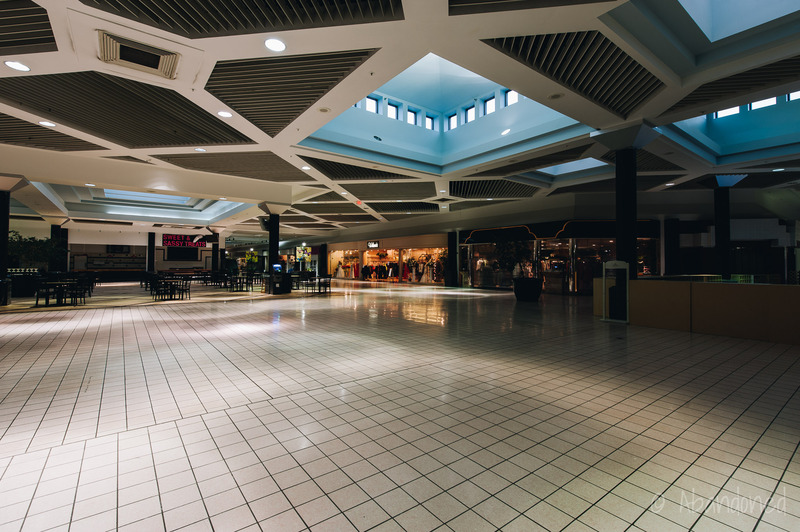 At its height, the mall boasted an occupancy rate of 69%. Meijer studied the possibility of locating at Cedar Knoll Galleria between 2001 and 2003, completing several architectural renderings at a cost of $30,000 to $40,000 each. 11 Target was also interested in locating at the mall, but the county’s reluctance of issuing tax incentives or breaks prevented both Meijer and Target from locating in the region. In 2002, Phar-Mor closed all of their stores in the southern United States, which included its location at Cedar Knoll. 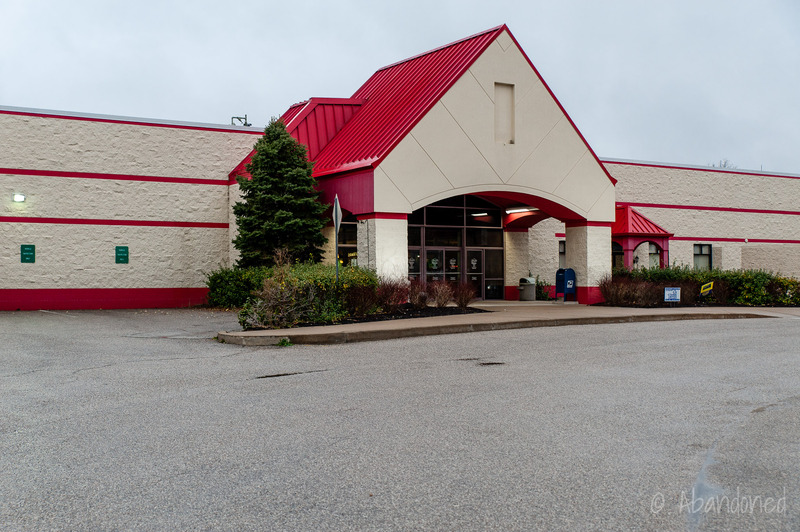 K-Mart closed their store later in the year, which was replaced by Artrip’s Market and a flea market in late 2004. In 2004, Zamia went bankrupt and its creditors sold the company and its properties at auction. 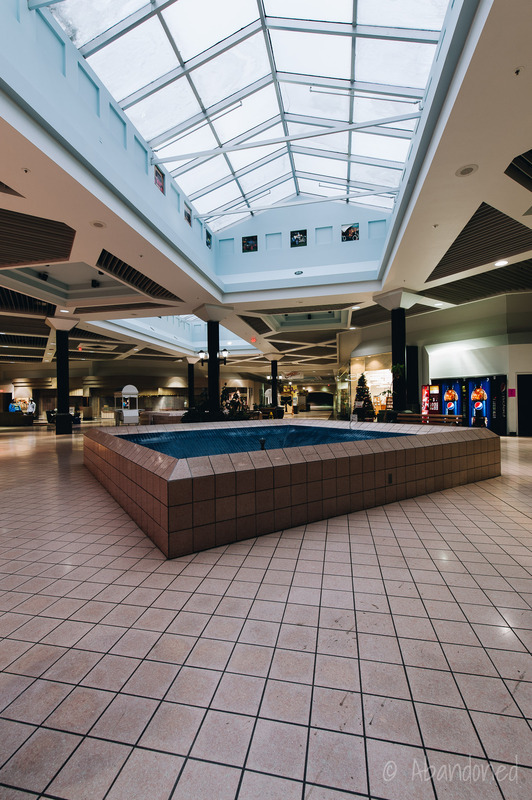 9 Reyton Cedar Knoll LLC purchased Cedar Knoll Galleria from Zamias, who rebranded it as the Kyova Mall, taking cues from the state names of Kentucky, Ohio, and West Virginia for the new title. 11 Major repairs to the roof and interior concourse were completed. In November 2005, Steve and Barry’s replaced both Artrip’s Market and the flea market. 11 The sportswear chain filed for Chapter 11 bankruptcy on July 8, 2008, and entered into Chapter 7 liquidation on November 27. In a bid to attract restaurants to Kyova Mall and its out-lots, Kyova Mall began a petition in 2007 to allow alcohol to be served in restaurants that made at least 70% of their revenue from food sales and had at least seating for 100 people. 6 7 The petition received nearly 6,000 signatures from registered voters which allowed it to go to a county-wide vote. The measure to allow certain restaurants to serve alcohol passed by with a 67% confidence on May 22. A view of the former Elder-Beerman. A view of the former Sears. A view of the food court entrance. View towards the former Elder-Beerman and Sears. A view of the former K-Mart, later Steve & Barry’s, and now a Rural King. Adkins, Andrew. “Elder-Beerman to close at KYOVA Mall.” Daily Independent [Ashland], 19 Apr. 2018. Fields, Ben. “Work under way for new theater at Kyova.” 24 July, 2006 Daily Independent (Ashland). May 24, 2007. “PHOENIX THEATRES TO MANAGE NEW MULTI-PLEX THEATRE IN CANNONSBURG, KY.” Phoenix Theatres. “New Kentucky theater boasts 10 screens, stadium seating.” 17 May, 2007 Ironton Tribune. May 17, 2007. Fields, Ben. “Landslide.” 23 May, 2007 Daily Independent (Ashland). May 24, 2007. Fields, Ben. “All precincts but one vote ‘yes’.” May 23, 2007 Daily Independent (Ashland). 24 May, 2007. Hart, Kenneth. “Kyova Mall theater to open Friday.” 13 May, 2007 Daily Independent (Ashland). 29 May, 2007. Fields, Ben. “Mall bustles as theater opens.” 21 May, 2007 Daily Independent (Ashland). 29 May, 2007. Preston, Tim. 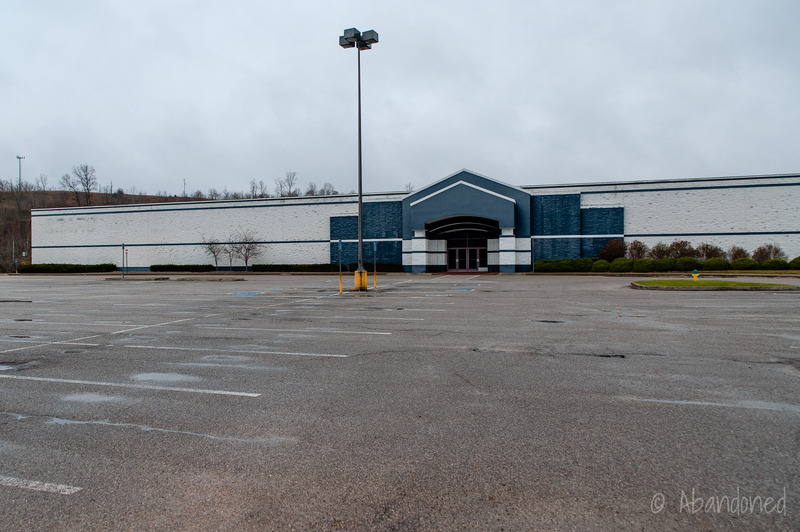 “No.1 Rural King taking Kyova Mall space.” Daily Independent [Ashland], 30 Apr. 2015. Fields, Ben. “Kyova’s Blair: ‘I needed a break’.” 2 April, 2007 Daily Independent (Ashland). 29 May, 2007. “Dow Jones surges to high amid interest-rate optimism.” 4 Oct., 1989 Herald-Leader (Lexington). 29 May, 2007. “Sears Reportedly Closing KYOVA Mall Store.” WSAZ Newschannel 3. N.p., 10 Feb. 2014. Web. 25 July 2014. We went there to rent a space today and they quoted us outrageous price for a space! I see now why the mall is empty!! 12.00 a square foot for a mall with onlt one store. Amazing, there is even a empty store there that has cats running loose in there and the management office smelled like cat piss! That is horrendous! 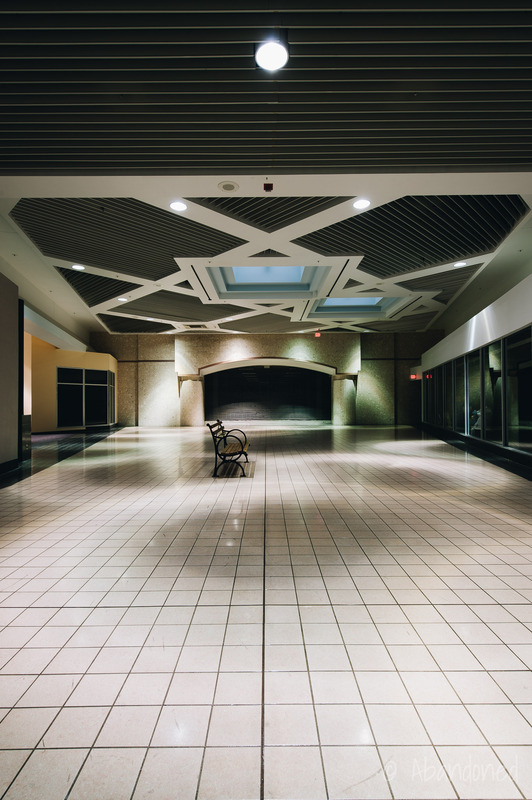 I moved here when I married 9 yrs ago–there were lots of empty stores in the town itself that have stayed empty to this day not just the mall. I bought my wedding gown at a store in this mall. It is shocking how fast it went down in my time here. I now understand why there are so many empty stores if this is how the owners deal with it. Ive never understood why letting something stand empty year after year and having to pay property taxes and ins on said empty place was better than being reasonable on making deals to get someone in the property to liven up this ghosttown…ive got ideas–but no money. It’s actually Lerner New York that used to be there and not Jones New York. I was the manager of that store for two years. 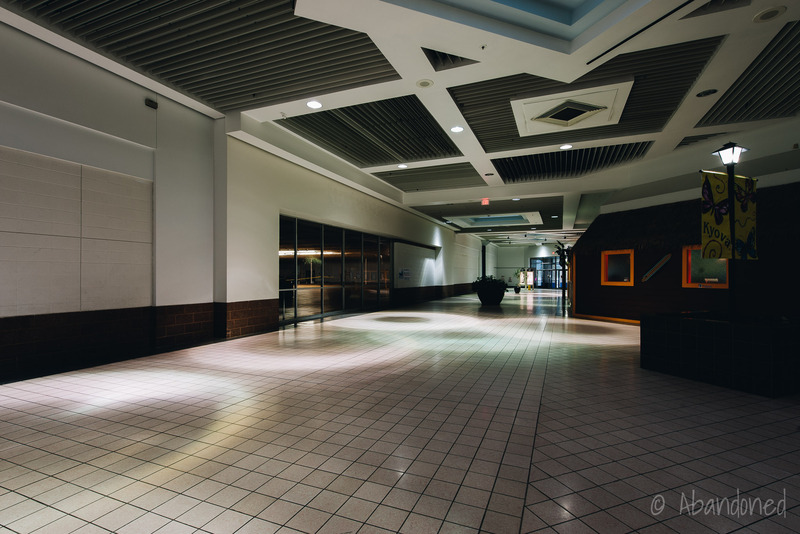 Used to be a nice mall to work in. The Kyova Mall needs to clean up the outside. Weeds grow everywhere, and the parking lot is a disaster with pot holes everywhere! No business wants to locate to a place like that. 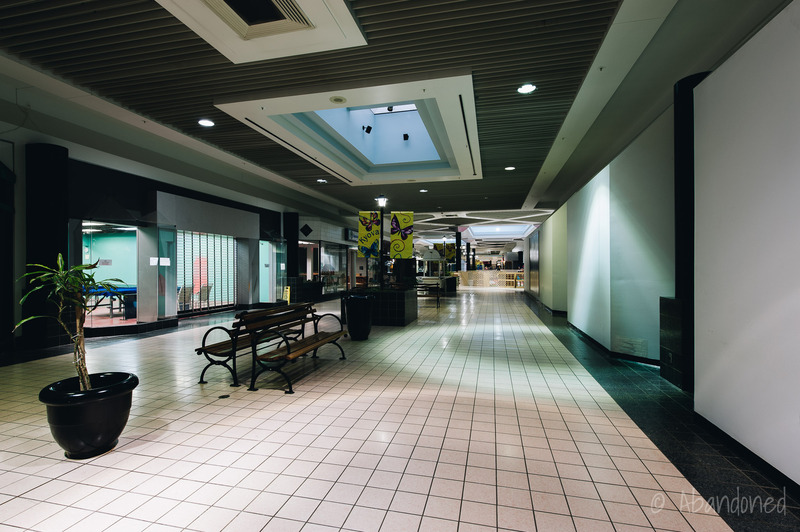 Why not look for stores like Big Dogs, Nike, Gap, Baby Gap, Levis , like the malls in Tennessee it Virgina Beach, they could benefit from these kind of stores to bring the mall back too life…. Is the mall up for sale again? Are they trying to actively seek new vendors? Why not look to companies that are not currently there. what about high end stores, Ann Taylor, Coach, places like this, I feel this area could support and needs this.